If you’ve been on any social media platform in the past week, then you probably have seen the shirt that is getting everyone on the internet riled up. Balenciaga’s new t-shirt shirt was recently unveiled for pre-order. Essentially, it is a basic indigo-colored tee with a striped dress shirt attached to the front. 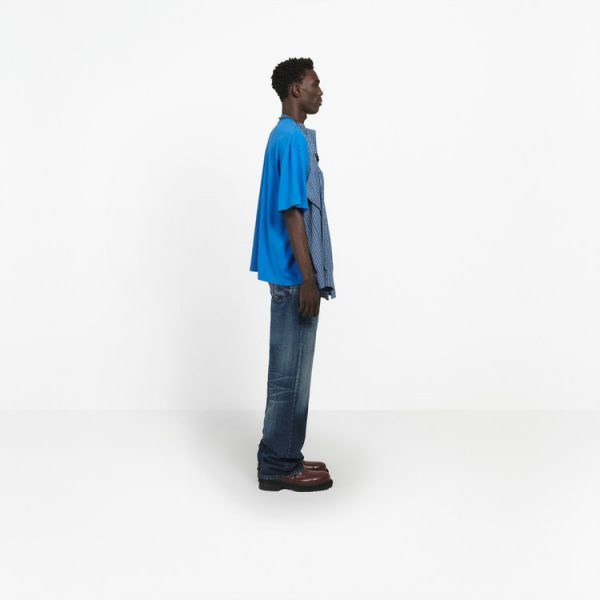 There are two “fashionable” ways to wear it: the short sleeves shirt can be worn with the “front drape effect” or the long sleeves shirt can be worn with a “back drape effect,” according to Balenciaga’s website. The reason for the hysteria, other than the eccentric concept for the shirt, is the price tag. 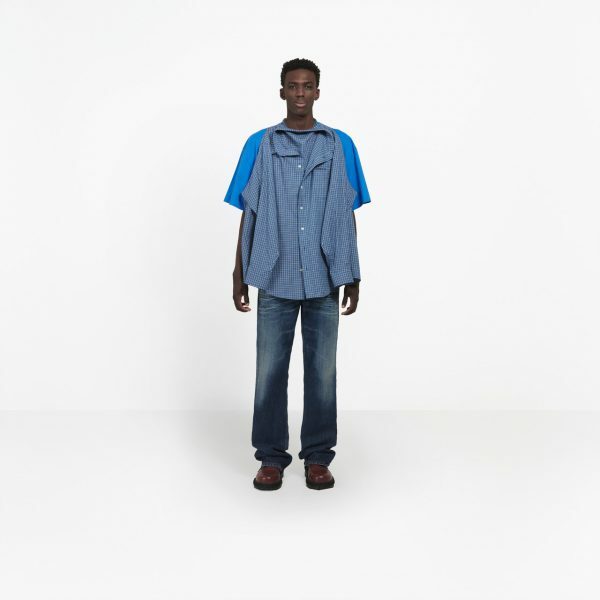 Balenciaga has this shirt priced at a steep $1,290. Twitter users quickly turned this shirt into a meme, and others took the matter into their own hands by creating their own personal version of the shirt. Remember those male rompers that also had the internet going crazy? Feels reminiscent of the RompHim trend that we saw last summer. One thing is for sure, if we saw anyone walking around our office with the indigo t-shirt-shirt, it would be the talk of the building – and that is undoubtedly the whole point, a (pathetic) fashion statement. Balenciaga creates pieces that are extremely out-of-the-box; maybe to get everyone talking about their products. Like these platform Crocs, for example. Smart move or a risky move? Balancing branding with the possibility of “shock and awe” social media virality can certainly get people talking about Balenciaga, but it is unknown if it will help or hinder its image. What do you think of this t-shirt-shirt? Does it seem like a marketing ploy or will you plop your credit card down to pre-order it?